Kids and mess go hand in hand. It seems the bigger the mess, the happier the child. I’m trying to embrace my children’s love for being in the kitchen but there’s no denying the mess can drive me crazy! I don’t have shares in a laundry powder company so an apron is the obvious (and easier) solution. 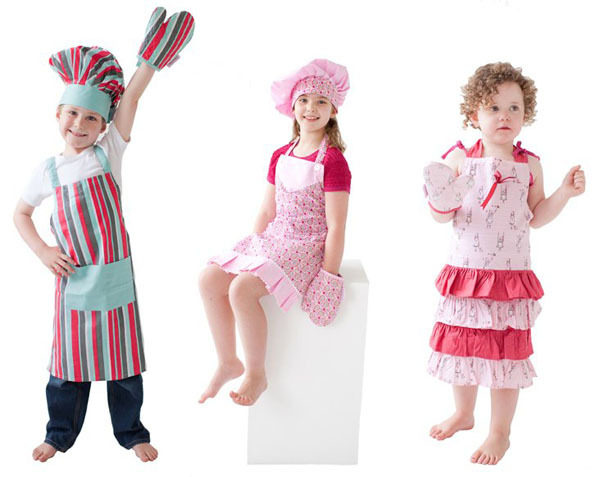 Me2me2 have created gorgeous vintage style Kids Chef Sets to fit children aged four through to ten. Aprons come in beautiful printed fabrics that are made more special by the fact there is a limited run on each. So if you love it, be sure to snap it up straight away! The Me2me2 Chef Set includes included everything your child needs for getting down to business in the kitchen – an apron, an oven mitt and an adorable chef hat! The fun doesn’t stop when the oven timer rings either. If you know a child keen to get dirty in the garden, Me2me2 also have them covered. Me2me2 have created a fun Kids Gardening Kit to kit out avid green thumbs. Included in the kit are all the tools of the trade – three (real!) 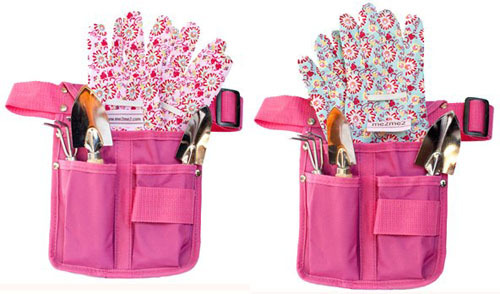 steel gardening tools, fabric gloves and of course, the all important tool belt. Me2me2 Gardening Kits are suitable for children aged four and over. Chef Set prices start at $34.95 and the Gardening Kit is priced at $29.95 from Me2me2, with delivery available all over Australia.